We are a prime manufacturer and exporter of an immaculate assortment of Stone Incense Holder that is manufactured using high grade stone. The Soapstone Incense Sticks Holder offered by us is highly in demand in the market, for their high quality and fine polishing. All our Holders can be availed at the most discounted prices. 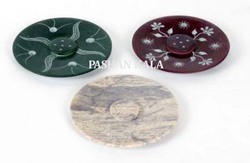 Our customers can avail Soapstone Incense Holder from us. 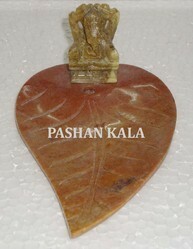 The offered range of Incense Holder is made utilizing modern machinery and innovative techniques in strict conformation with the international standards. 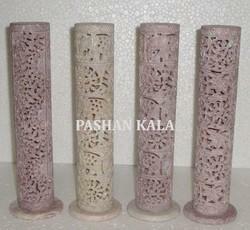 We offer to our customer a rich and elegant range of Stone Incense Tower, which is used for holding incense sticks. Made from superior quality stone, these Towers are designed and build in different shapes as per the requirement of client. We offer to our customers a rich and elegant range of Incense Tower Bottle, which is used for holding incense sticks. Made from superior quality stone these tower are designed and build in different shape as per the requirement of client. We offer affordable range to satisfy the requirement of the client. Looking for Incense Burner ?